I'm trying to draw some smooth looking surfaces with gridlines, and I'd like the grid lines to be invisible (or transparent or whatever) when they are obscured by my surface. In my code below, you'll see that I manually added the gridlines, because otherwise they seemed to become piece-wise linear. How do I hide the lines behind the surface in a "smart way"? Whether or no you use shader=faceted interp is not too essential here. You'd need to use spy glasses to notice a difference. If you look very closely, you'll note that the tiles on the right have some gradient shading whereas the ones on the left don't. Not the answer you're looking for? 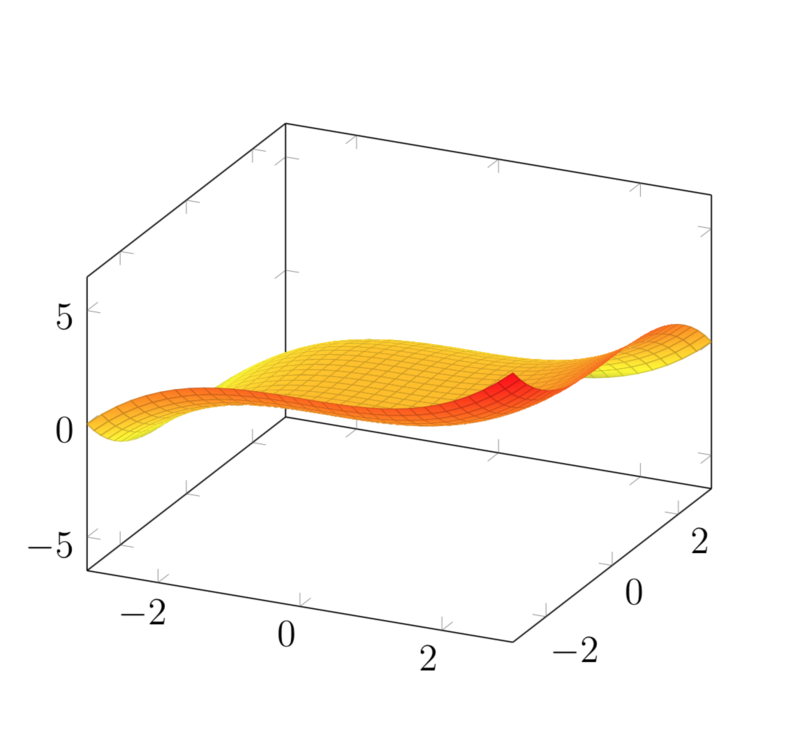 Browse other questions tagged tikz-pgf pgfplots draw or ask your own question. 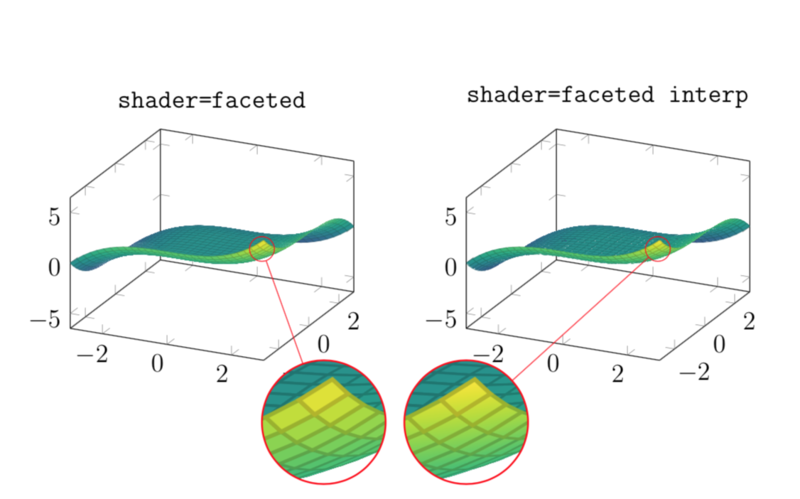 TikZ PGF: How to hide parts of 3D graph when lower than surface?